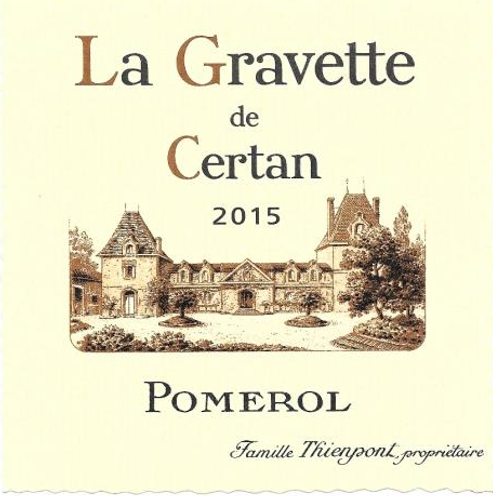 Today sees the initial release of 2015 Gravette de Certan, the second wine of Vieux Château Certan. Now, we have not tasted this, and as far as we can tell neither has any other journalist/commentator/critic, but the ‘Grand Vin’ from 2015 was awarded 98-100 by Neal Martin and certainly one member of the Thienpont family spoke of the ‘Gravette’ with awe at the beginning of this year, saying he thought it as good as many earlier vintages of the Grand Vin. This is an opportunity to get your hands on some of the magic of ‘pink top’ at a price which is less that a quarter of that of the Grand Vin. To order, please simply email offers@leaandsandeman.co.uk or call 0207 221 1982.